Our dream Big Sky finals matchup awaits us: Montana vs Weber State, part 3. How did they get there? 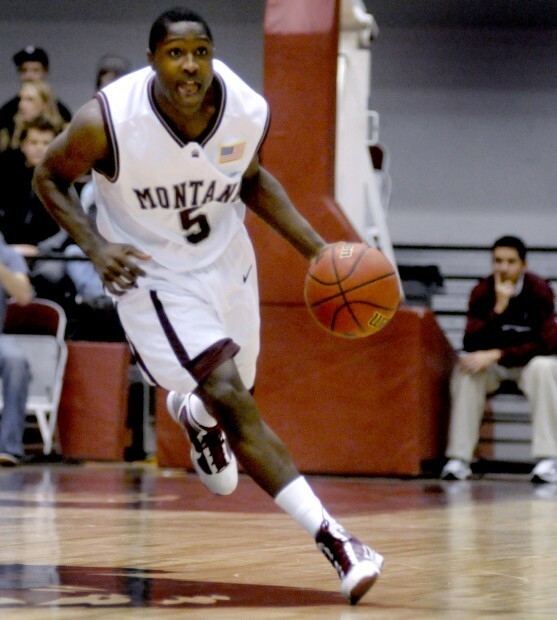 On Friday night, Montana took some punches from Northern Colorado, but wound up with a 14 point win. Counting conference tournament games, make that 30 straight home conference victories for Montana. Behind a raucous crowd, they got off to an 11-0 start against Northern Colorado and never trailed in the ballgame. The Bears fought back all night, but the Grizzlies just seemed like they would not let them get closer than about six after the early stages of the second half, eventually winning 70-56 after extending the lead in garbage time. Before the game, we talked about how the Bears might have the advantage down low, but they would need to slow down the quicker Montana guards. That did not happen in this game. Will Cherry (21 points, 3 assists) and Kareem Jamar (19 points, 10 rebounds, 4 assists) seemed to go anywhere they pleased in this game, and they were just too quick and physical for Tevin Svihovec and Tate Unruh. On the other wise, Unruh and Svihovec couldn't get things going offensively. Unruh did not play a bad game, his shots were just not falling. He finished 2/11 from the floor, including 2/10 from downtown. He is a guy that keeps shooting, and that is the gameplan. He still had six rebounds and four assists, but the fact that he wasn't hitting was big. Svihovec struggled all game. He was 1/9 from the floor, finishing with six points. He also had four turnovers, and was making poor offensive decisions all night. His development this offseason will be the key for UNC next season. Connor Osborne played great in this game, finishing with 18 points and 12 rebounds. He was a force. Derrick Barden had 18 points and 7 rebounds, but it was a quiet 18 and 7. Montana's bigs played well enough to get the win, while UNC's guards did not. That was the difference in the game. Andy Martin had some productive minutes in the second half, while Eric Hutchison had some in the first half. So, it all adds up to Montana hosting Weber State for the Big Sky championship. Again. 7pm mountain time on Saturday night - it is going to be a fun one, that is for sure. Instead of talking about the Griz winning, your twitter feed is filled with excuses about why Weber lost. Your love fest for them has gotten old. It would be nice if you could finally admit that the Griz have the better team (proved it during the regular season and tournament). Thanks for the comment! Don't really agree with your statement about me making excuses for why Weber lost, but you are certainly entitled to your opinion! I've said a million nice things about Tinkle/Jamar/Cherry all year long. They were great tonight, no doubt about it.